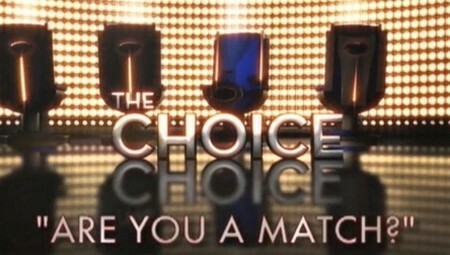 Tonight on NBC is an all new episode of The Choice. On tonight’s show a new group of celebrities will try to find love. If you missed last week premiere episode of the new dating show, we have a full and detailed recap here for you. On last week’s premiere episode hosted by So You Think You Can Dance‘s Cat Deeley – Jersey Shore‘s Pauly D, rapper/Dancing With the Stars alum Romeo, Jeremy Bloom and General Hospital‘s Jason Cook tried to find love. Jason chose Nia for a date, Pauly D scored face time with Elyse. Romeo chose to go out with Lisa and Jeremy will date Amber. 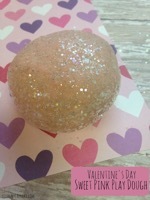 Tonight we will see how these impromptu celeb dates pan out. On tonight’s 2nd episode of The Choice show contestants include singer Joe Jonas, Olympic snowboarder Seth Wescott, radio personality Mike Catherwood and actor Parker Young make their choice. Stay tuned for our live coverage of the show tonight at 9 PM EST! Meanwhile, while you wait hit the comments and let us know what you think of Premiere season of “The Choice” so far! RECAP: Our bachelors tonight are; Parker Young, Michael Caterwood, Joe Jonas, Seth Wescott. Each guy gets to choose three ladies, only on what they say. Each women has 30 seconds to convince them to choose her. Shannon is first, she is hot and tells the guys she is the best, a cocktail server on the Las Vegas strip. Michael is the first one to hit the love handle and turn around. Shannon picks Parker. Latika is next and the audience is going wild so that the guys can hardly hear her. She is a dance choreographer and a massage therapist. Joe picked her right away and she chooses him. Melanie loves to dance, African Caribbean is her style and Parker turns at the very last minute. Morgane loves video games, skiing, anime and she is extremely nervous. Seth turns, skiing made him to it. Amanda is a professional poker player and the chairs turn around really quickly, but in the end she picks Joe. Megan loves music, she’s a singer and model. Michael turns around but nobody else does. Lindsey is next, she rides horses for a living and loves to party and nobody turns around. Kimberly is fluent in Italian and family is a huge thing to her, she also likes to travel. Joe and Michael turn around, she picks Joe. Kerrya is from California, she’s been in gymnastics her whole life, Michael turns around. Sarah loves running, she bikes and claims to make your heart smile, Seth turns around. Blair is a free spirit rocker type of chick, Seth turns her chair around because he loves that she’s a rocker. Joe and Seth have three girls, Michael and Parker have two. Keyonna is an exotic breed, she loves sports and loves to cook. Parker is the only person without three ladies, so they are bringing out two, Tina and Becky, he has to choose between the two. Becky made a comment about at least being his age because Tina was older and it got Parker to choose her. Next is the speed choice round, here are the guys and their girls. After a 15 second time limit with each lady, the men get to get rid of one woman. Seth dumps Sarah. Parker dumps Melanie. Mike dumps Kerrya. Joe dumps Amanda. This is the final choice round, the guys have given questions for the remaining ladies. Seth’s girls are first, “what is something you should have won a gold medal for?” Morgan says for her kidness and Blair says the well round gold medal because she does everything. Seth has to choose, he picks Blair the snowboarder. Parker’s girls are next, “what’s the biggest risk you have ever taken?” Shannon says moving to Las Vegas and living life to the fullest, Becky has an identical twin sister and when she left her in college it was tough. Parker has to choose, he picks Shannon the Vegas girl. Mike is next, “what’s the best piece of advice you have been given about your love life and who gave it”. Megan says her mom on being careful, Keyonna says her dad that told her to never rely on anyone in life. Mike has to choose, he picks Keyonna because “the darker the berry, the sweeter the juice”. Joe is the last one, “what’s the most important thing you made a commitment to and why”. Kimberly says the commitment she made to her brother and sister to raise them with her single mother. Latika’s commitment is to God and her virginity. Joe has to choose, he doesn’t pick the virgin, he picks Kimberly.